Read first. Cry once. Zest often. The count down to my sister’s wedding is on (T minus 3 days, ikes!). And I m feverishly making about a million gum paste flowers for her wedding cake that I crazily agreed to make. So time is an issue right now! So please enjoy an article I wrote awhile back for Food on the Table about saving time in the kitchen! PS: The Green Giant Giveaway is still on until 10 pm CST time tonight so feel free to still enter! I will announce the winner sometime tomorrow! Cooking fast, fresh meals doesn’t have to be a chore. With some preparation and a few tips and tricks up your sleeve, a family friendly meal can be ready and on the table in no time! • Read first. Read your recipe from beginning to end. Then pull out all of the ingredients and pots/pans you will need before you start cooking. This saves you time from making repeated trips back and forth to the pantry/fridge and allows you to be ready when you get to the next step of the recipe. Also, if you read your recipe in advance you can start cooking things like rice or meat first since they usually take longer to cook than other things like veggies. • Cry once. I cook with onions A LOT. Because I use them in multiple recipes throughout the week I will usually suffer through a good ‘ole onion “crying session” only one day a week, say Saturday or Sunday, when I have more time in the kitchen. I will chop 2 to 3 onions at one time and place them in plastic storage containers. The prepared onions will stay fresh for about a week and because they are pre-chopped, all I have to do on a busy night is pull them out and immediately add them to the food I am cooking. • Zest often. I use my grater/microplane zester daily to save time in the kitchen. Not only do these tools work great for freshly grating cheese or zesting lemons, they are useful to use when needing minced ginger or garlic. Fresh garlic and ginger are a tasty and inexpensive ingredient that can enhance a dish, but that are time consuming to chop. Simply use your microplane zester and run it over the peeled garlic or ginger and it will be ready for cooking in only seconds. Want a hearty and classic dish that is quick and easy at the same time? 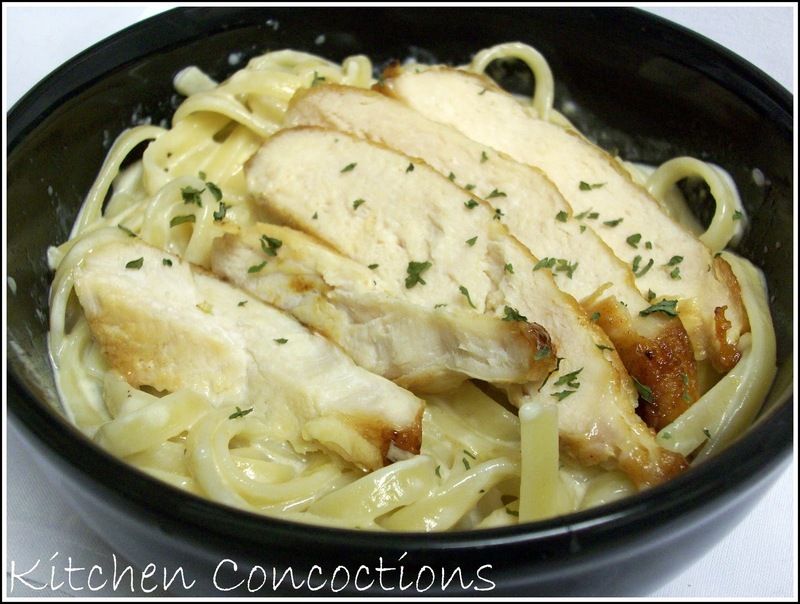 Try this Creamy Fettuccine Alfredo with Chicken. Rub the chicken breasts with 1 tablespoon of olive oil. Season both sides of the chicken with salt and pepper. Heat a large skillet over medium-high heat. Add reaming 2 tablespoons of olive oil. Place prepared chicken in pan. Cover and let cook 7-8 minutes. Remove cover and flip chicken. Cover and let the chicken cook for an additional 6 minutes, or until cooked through. Remove cooked chicken from pan and let rest for 2-3 minutes and then slice. In a saucepan or skillet, warm butter and cream, over medium-low heat. Season with salt and freshly ground black pepper. Stir in 2 cups of freshly grated parmesan cheese. Stir until fully incorporated. Drain pasta and immediately pour it into a large bowl. Pour sauce over pasta and toss to evenly coat. 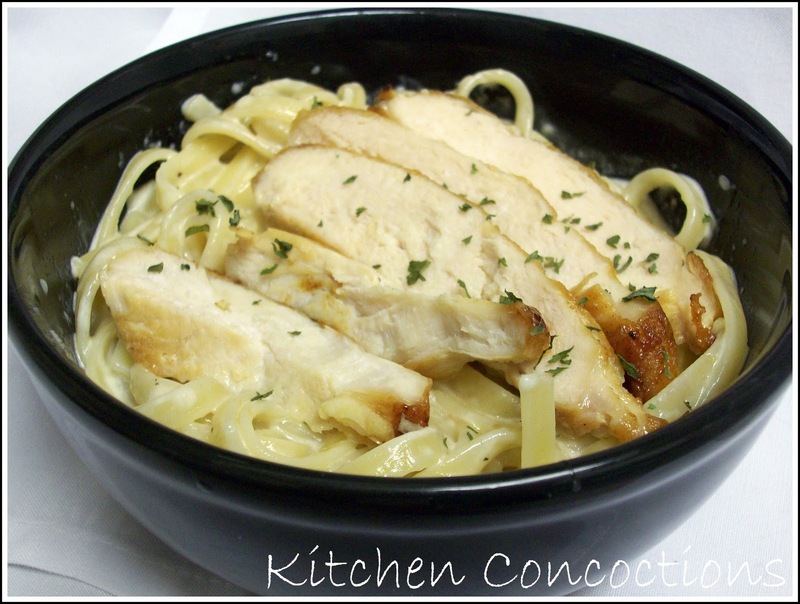 Top with prepared chicken and additional ½ cup parmesan cheese. Serve immediately.